Located just off the northwest coast of Lombok are the Gili Islands, three tiny little islands that have become one of the most popular spots in all of Indonesia. 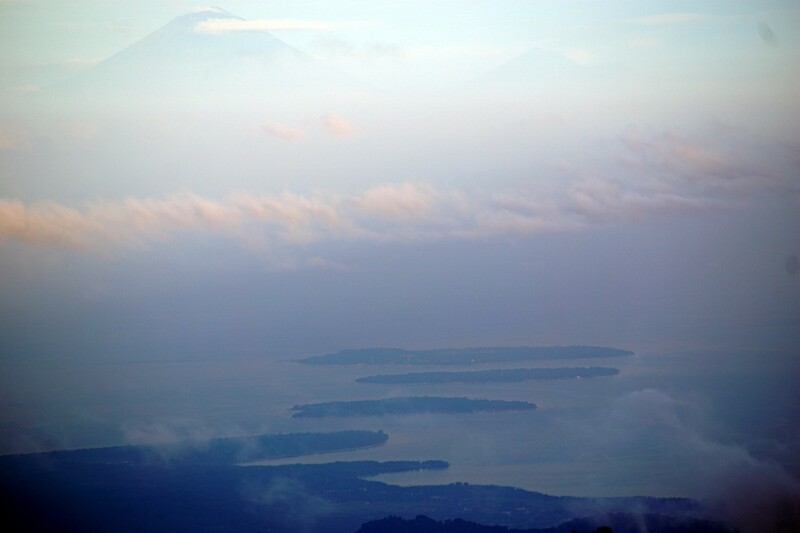 Gili Trawangan is the biggest and farthest from the mainland followed by Gili Meno and Gili Air (pronounced AH-yer). If you’re planning a trip to this idyllic location, read on for our guide to visiting the Gili Islands. With large crowds of tourists descending upon them daily, it’s hard to believe that the islands have only been inhabited by people for about thirty years. Bugis fisherman from Sulawesi were some of the first to use the islands as places to stop and rest along their voyages. Then they were used by the Japanese as lookout points and prison camps for POWs during the second World War. For a few years in the 70s they were used for coconut plantations, but the project was abandoned. The 1980s brought adventurous backpackers over from Bali and since then tourism to the islands has continued to grow. It really blew up in the 90s as more and more dive companies set up shop. Today travelers of all ages and types enjoy visiting the Gili Islands, from backpackers to honeymooners to families. Beach time on Gili T.
This is the biggest of the three islands and known to most as ‘Gili T’ or by its silly nickname ‘Gili Tra-la-la.’ It attracts the most visitors and was developed more quickly than the other two islands. This is because of its proximity to many dive locations. If you’re looking for a wide array of options for accommodation, dining, and partying, Gili T is the place for you. While Gili T has the reputation of a ‘hippy party paradise,’ we found it to be more subdued than this label would imply. Sure you can party here – it’s quite easy to find weed and ‘shrooms – but it’s striving to be more of a family friendly destination. The main draw to the island remains diving and other water-related activities. While most of the action happens on this island, there is still plenty on the other two. Life is all about choices, and you’ve got a few when visiting the Gili Islands. The sunsets sure are nice. This island is the smallest and is located in the middle. Come to think of it, Meno is much like a middle child. It doesn’t get nearly as much attention as the other two. It’s known as the honeymoon island because it’s much quieter and more undeveloped than its neighbors. As such, it attracts mostly couples looking for a romantic getaway or families looking to relax. People looking for a more exciting scene probably wouldn’t care much for Meno. The most interesting thing about it is probably the turtle sanctuary, where they care for baby sea turtles until they’re ready to be sent back out into the water. We stayed on Meno for one night and got bored. Maybe we’ll dig it more in a decade or so. Gili Air is nearest Lombok, so it’s the best place to start if you’re visiting the Gili Islands from there. It’s number two in size out of the three islands.Gili Air has the largest permanent population of residents at about 1,800 people. It’s a happy medium of the party vibe of Gili Trawangan and seclusion of Gili Meno. With the development of more upscale places on Gili T, Gili Air is becoming more popular. Many backpackers now choose Air as a place to base themselves on the islands. It’s also quickly becoming a hotspot for music festivals, as it hosts one during Nyepi (Bali’s Day of Silence) as well as the Burning Island psy-trance gathering. The Gilis are unique in that no motorized vehicles are allowed. You can only get around by bicycle or a horse drawn carriage called cidomo in Indonesian. Take this into consideration when booking your place and packing for your trip. On all of our trips we’ve booked a place that’s a short enough walk from the pier so as to avoid taking the cidomo. Not only does it save money, but the drivers don’t exactly have a great reputation for how they treat the horses. On such tiny, mostly undeveloped islands, do your best to limit waste. It’s easy to bring a reusable bottle and fill it with water at your guesthouse or even restaurants. Bring along a reusable bag while you’re at it, or at least turn down the plastic ones at the little convenience stores. These islands are beautiful, but they won’t be for long if surrounded by mounds of plastic waste. Regardless of which Gili you choose, you’re bound to have a good time. After all, who doesn’t enjoy lounging on the beach, sipping on fruity drinks, dining on fresh seafood, and enjoying a few cold ones with fellow travelers and music? The Gilis are a great place to take that beach vacation you’ve been wanting. If you need some more activity, there’s plenty to do here as well. Those looking to get into scuba diving or gain extra certifications should definitely consider visiting the Gili Islands. They’re one of the best places in SE Asia to do so. If diving isn’t your thing, you can just put on a snorkel and go. After a day in the water, you can go out and hit a night market and party on the beach. Talk about an awesome day! For more detailed info about accommodation, activities, nightlife, etc., check our pages for each of the three – Gili T, Gili Meno, and Gili Air. If you could only go to one, which one of the Gili Islands would you choose? Leave a comment and let us know!